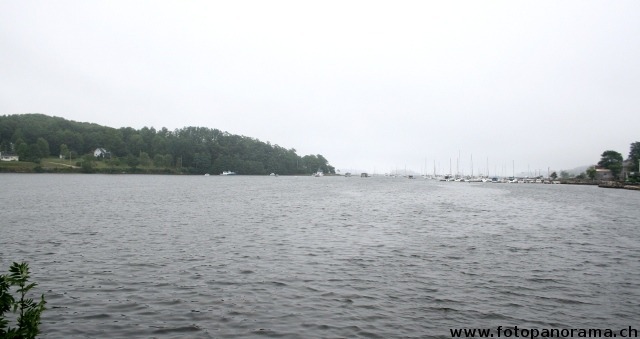 Panoramic picture of Mahone Bay, Nova Scotia, Canada. Mahone Bay is a town on the Atlantic coast of Nova Scotia, Canada. It is located a few kilometers north of Lunenburg. The town was, like others in the region, founded by protestants from Switzerland, Germany and France. MahoneBay.com: Website of the town.